Anvil manufacture their garments with tear-away labels so these can be removed whilst leaving the required legal information on an unbranded label inside the neck. For branded labels to be removed you'll need to opt for a printed label. 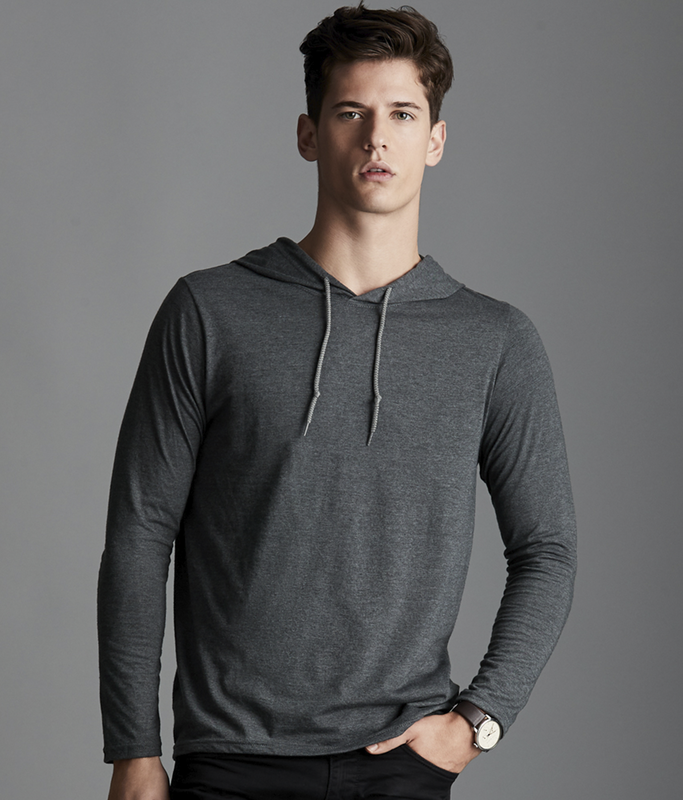 Love this,it's a hoodie with nice thin sleeves made of t-shirt material,­perfect for me who loves rolling the sleeves up for the casual look!